The number one issue that tends to lead to most other tax problems is having unfiled tax returns. The IRS will not consider any type of negotiated settlement or payment agreement until a tax payer is current with their filings. 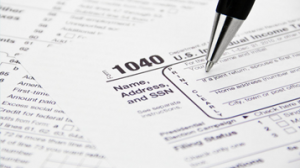 In certain cases, when a number of years go by without filing, the IRS will file "substitute returns" which do not take into consideration your deductions and generally lead to a higher tax debt than when the taxes are filed by your tax professional. As a client of Tax Champions, we will prepare and file all applicable unfiled tax returns to bring you current, quickly and accurately to ensure the least amount of tax liability possible which is the first step before working out a negotiated settlement or when of the various repayment programs which may further reduce the overall tax liability paid to the IRS. © 2019 Tax Champions | Tax Negotiation Services | All Rights Reserved .